Last Christmas, we were in New Mexico. It was a real treat for me to visit some of the oldest churches in continental USA while there. I love old churches, especially old living churches that have an active congregation. Our drive to Taos took us through Ranchos de Taos, a historic district about four miles from Taos. 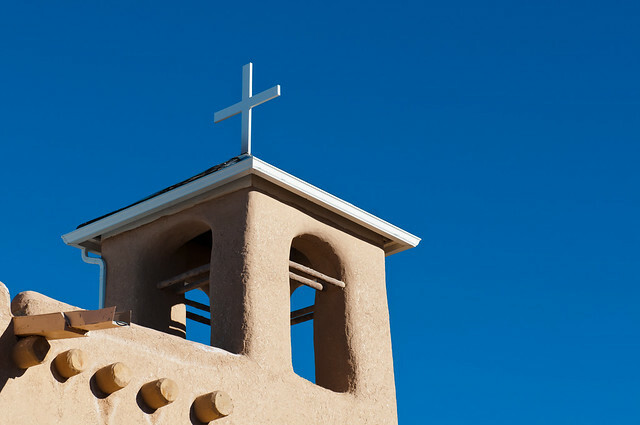 And, in Ranchos de Taos is the San Francisco de Asissi Mission Church, a historic church built by Spanish missionaries between between 1772 and 1816. In spring, the community gets together to add a new layer of adobe —a mixture of mud and straw — on the outer facade to preserve their church. It was a perfect winter's day in New Mexico: bluebird skies with nary a cloud in sight, sunny and cold. 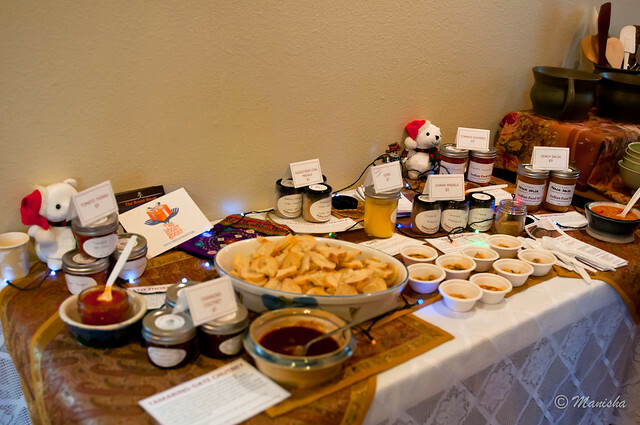 Last week, I participated in a home market hosted by my friends Teri and Paul. We called it the Boulder Holiday Art & Gift Sale. Little did I know what I had committed to when I said yes to Teri back in September. By mid-November, I was in way too deep to back out. I had canned as I do each year and then some. Thanks to guidance from my friend Archana, I made a small batch of tomato thokku and tomato chutney. Maybe I could use those. Medha was not happy that I was going to include the tomato chutney on my table at the Holiday Sale. I canned more of my peach-habanero salsa.My tamarind-date chutney is always a hit so maybe some of that. Some ghee? And a couple of spice blends. But which? I have always wanted to share my rest-of-the-world chhole masala, and I had a dear friend's mother's recipe for chai masala. And then there was that whole thing about labels. I figured that even if no-one bought anything I made, I would have lots of gifts for my friends. None of the effort would be wasted. And, it had a lot of love poured into it. Before I knew it, it was the weekend of the sale and I sold out of both the thokku as well as the chai masala. I set out samples of all my canned foods, as well as chai made with my chai masala and chhole made with my chana/chhole masala. We have a winner for my Craftsy Giveaway: AM! Congrats! I do not have an email address for you. Poornima! Siri. 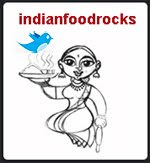 Please get in touch with me by email indianfoodrocks at gmail or by using this contact form. Please include your Name and your Email Address. Since I took so long to announce the winner, I will give you until Thursday, June 26, to get in touch. Hurry! I want you to start exploring Craftsy right away! 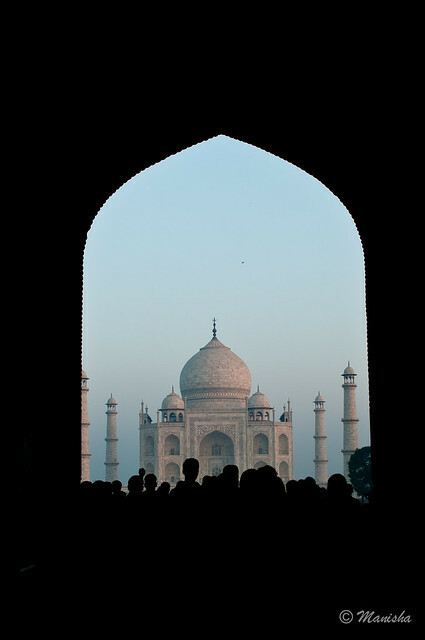 Last November, I made a quick trip to India, and what a trip it was. I went to attend the wedding of a dear friend as well as handle some pending business, and ended up meeting a whole bunch of friends — some for the first time, like Anjali Koli. I have known Anjali online for over seven years. She and I were both Red Checks at St. Anne's High School in Fort, Bombay, albeit years apart. Anjali has always held me spellbound with her stories of the Koli culture. The Koli community are the fisher-folks that brave the rough seas in and around Mumbai to bring prized catch to ever-demanding customers. I have memories of going to the fish market with my mother, afraid and in-awe at the same time. Anjali took me to one of the markets from my childhood and the fisherwomen did not scare me anymore. Instead, I chatted with them and laughed at their stories, while they smiled for my camera. 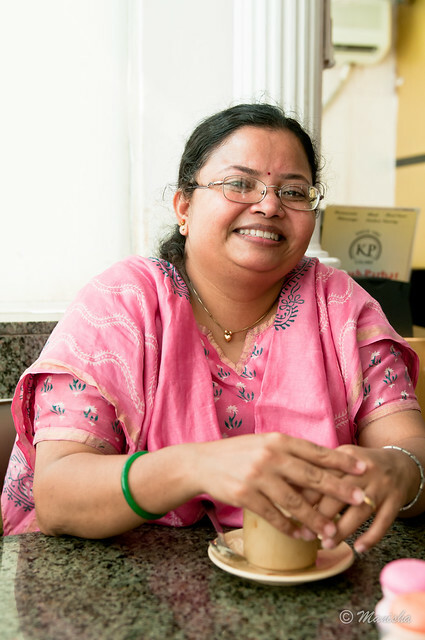 If you are so lucky as to be in Bombay, you might want to check out the Koli Culture Experience with the best guide there could ever be, Anjali. What: Fish and beautiful fisherwomen, and Anjali. Have you entered my Craftsy online class giveaway? I have extended the deadline to May 25. Go ahead and enter it now! May is the longest month in the calendar. Not just because it has 31 days. It is the last month of the school year, heralding all kinds of end-of-year activities. From recitals to picnics to award ceremonies to graduation and graduation parties. And, BolderBoulder. Several events are packed into each weekend. 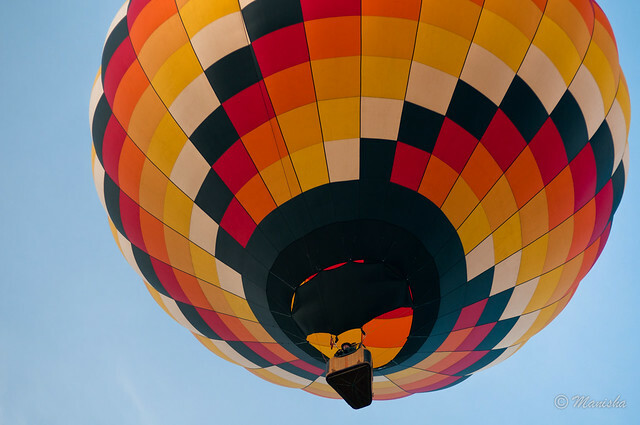 I would like an auto-pilot for this month! In between all the necessary stuff, we try our best to pack in the unnecessary but fun stuff. 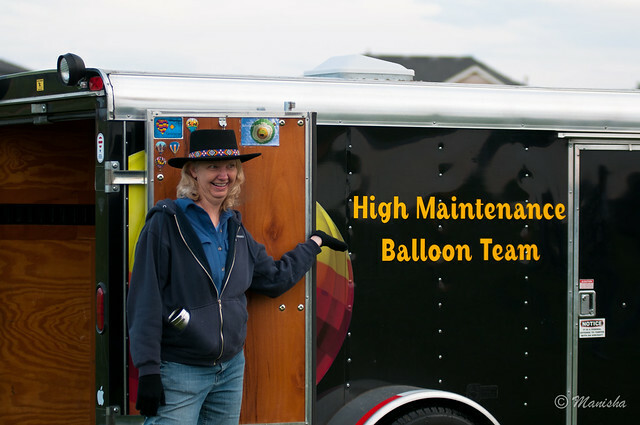 Like the Erie Balloon Festival. This is a 3-day festival held in the neighboring town of Erie. My friend, Lisa, and I go every year and we were there last year, too. Some of you noticed that I had stopped posting. Thank you for that. So much happened right from the night of my last post — a huge stag leaped into the side of our then brand-new plugin-hybrid on the freeway, leaped back over the median, caused an accident, and was dismembered — to the end of the year and beyond, that with each event, my mind whirled and the words stopped flowing. I wrote but it seemed disjointed; incoherent, even. So I chose to go silent without a message, except a brief announcement on my Facebook wall towards the end of last year. My silent blog did not bother me as much as the nagging feeling that I failed to deliver on my promise of a 10th anniversary giveaway in which all my readers could participate. But the best thing about a blog is that it doesn't matter. I'm the boss and I can do whatever I want, whenever I want. Even though we are well into the 11th year of IFR now, I am still going to have my final 10th anniversary giveaway. There are actually three giveaways: one for the readers of my blog who comment on this post, one for my newsletter/email readers (I will have the newsletter out soon), and one for my Facebook fans. What am I giving away? A creative online class on Craftsy of your choice up to a maximum of $30. Why? Because I like to keep my promises, however late I might be. How? Same deal as last time. The rules are that there are no rules. There is no need to go blue in the face creating more noise than there already is on the social networks. If you want to, however, that is your choice! Simply leave me a comment on this post telling me what crafts you enjoy and how you plan to work that into your summer. That's it. The giveaway will close at 11:59pm May 23 25, 2014. I will randomly pick a winner and post an announcement within a couple of days of the deadline. I will give the winner a few days to get in touch with me, failing which I will find another winner. I will be sending out a newsletter to my mailing list with a second giveaway as well as announcing a third giveaway on Facebook — both Craftsy classes up to $30 value. If you entered the giveaway on my blog, you can still throw your hat in for these two giveaways. The modus operandi will be slightly different on those two platforms though. Disclaimer: I am not affiliated with Craftsy in any way. This post is not sponsored by Craftsy nor has Craftsy approached me with an offer. I do have a friend who works for Craftsy but that's where the association stops. My friend has not asked me to post this giveaway either. It is entirely my idea. Photography continues to remain a passion and a huge stress-buster for me. 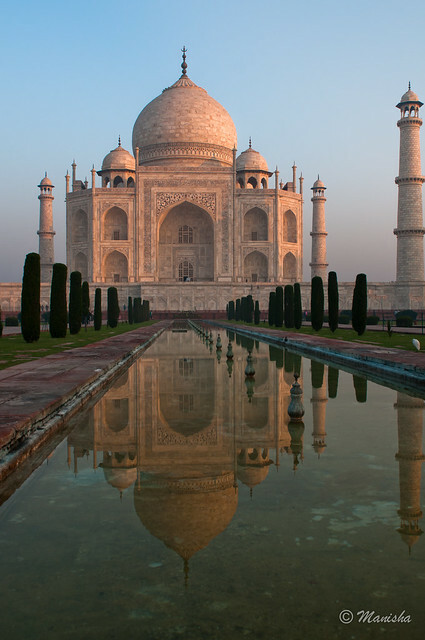 I will leave you with a couple of my favorite photos of the Taj Mahal in the early morning light, that I shot in December last year. Now, you do your bit and enter the giveaway by telling me about your favorite crafts and how you plan to indulge in them over summer, ok?